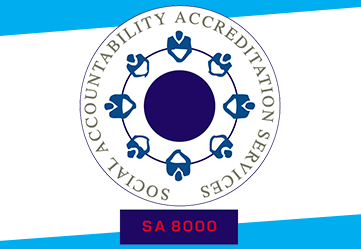 Ocean management services is a leading SEDEX WRAP SA 8000 social accountability certification consultants, SEDEX WRAP SA 8000 social accountability certification consultancy, SEDEX WRAP SA 8000 social accountability registration consultants, SEDEX WRAP SA 8000 social accountability registration consultancy located at ahmedabad gujarat india, SEDEX WRAP SA 8000 certification consultants in ahmedabad gujarat india, SEDEX WRAP SA 8000 certificationconsultants in gujarat india, SEDEX WRAP SA 8000 certification consultancy in ahmedabad india, SEDEX WRAP SA 8000 certification registration consultants in india gujarat, SEDEX WRAP SA 8000 certification registration consultancy in ahmedabad gujarat india, SEDEX WRAP SA 8000 certification social accountability training providers in ahmedabad india gujarat, SEDEX WRAP SA 8000 certification social accountability certification consultants consultancy trainers training providers located at ahmedabad in gujarat india. We can help in achieving SEDEX WRAP SA 8000 certification registration to organizations located at ahmedabad vadodara baroda surat ankleshwar bharuch vapi silvassa nadiad anand vidhyanagar rajkot himmatnagar bhavnagar jamnagar surendranagar kadi kalol mehsana chhatral palnapur siddhpur gandhidham mundra kutch mumbai delhi chennai calcutta bengalore pune chandigadh jaipur udaipur and in other cities of India. conducting gape analysis against requirements of SEDEX WRAP SA 8000 certification. Suggesting actions to be taken for achievement of SEDEX WRAP SA 8000 certification. Ensuring legal compliance with respect to labor laws applicable to organization in relation with SEDEX WRAP SA 8000 certification. Coordination with SEDEX WRAP SA 8000 certification registration agencies for completion of registration.